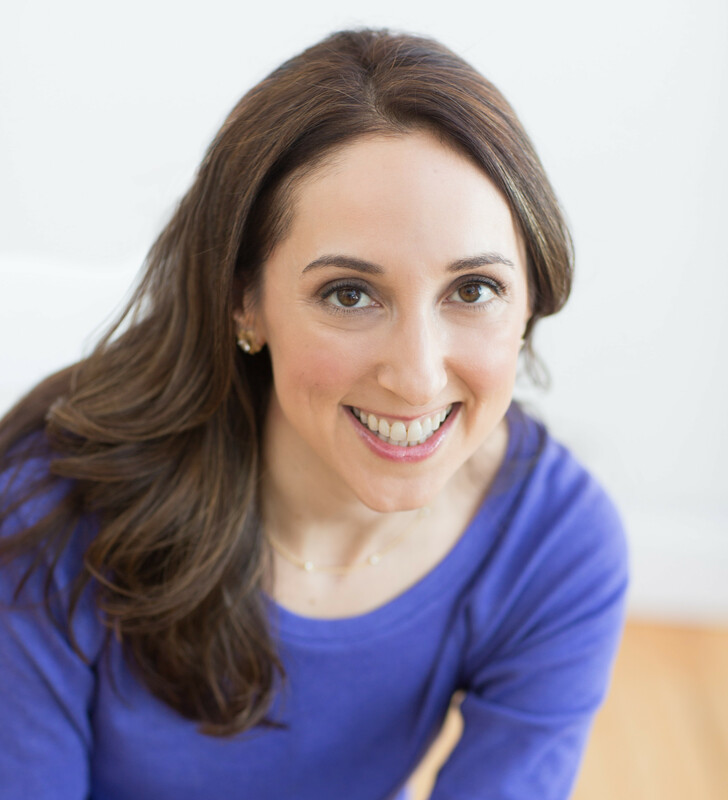 UPDATE: FIND NINA AT HER NEW ADVICE SITE! In this month’s HerTake question, Nina discusses what to do if you think a friend is purposely ignoring your posts on Facebook. Have you been on the receiving end of a digital dissing? Have you ever purposely withheld likes and comments from a friend? Let us know what advice you have for this month’s letter writer. I’m confused by one of my friends who is great in person, but ignores me on Facebook. Yes, a modern “problem,” but one that does affect our relationship or at least how I view our relationship. When we’re together, just the two of us, whether in person or on the phone, we have a wonderful time connecting, and I feel like she’s one of my closest friends. But then she completely ignores me on social media. We are friends on Facebook and Instagram, and I see that she likes and comments on (seemingly) everybody else’s feeds but mine. I also write a personal blog that I know she reads diligently because she mentions things she’s read there, but she has only commented on my site twice in the last eight years. You gave some great advice a few months back that if you look for something on Facebook, you’ll find it. So I don’t go looking because it makes me feel really bad, but we do have about 10 – 15 common friends/ acquaintances, and I see her generous comments often, just never on anything I’ve shared. The strangest thing is that she recently said to me that an acquaintance was doing this to her. I was so shocked I said nothing, but now I’m wondering if I should ask her about this, or just ignore it and pretend I don’t see all the other activity going on? I have thought that maybe she doesn’t want to be associated with the infertility and wants to move on, but she’s very open about it, as am I, and many of the other friends were in the same situation. Do you have any insights? What do you think is going on? I think others will relate to your dilemma whether or not they’ve felt the cold shoulder from a friend online. It hits on themes about one person feeling she’s making more of an effort; speculation about another’s motives creating (or on the precipice of creating) a schism that may not be based on truth; and a problem in a friendship seeming like one person’s inability to deliver when the real problem could be an unreasonable expectation in the first place. I have so many thoughts that I’m going to organize my answer into subheadings. And to make sure I was thorough, I consulted four of my trusted blogging friends and two non-blogging friends. Are you ready? Let’s go! Blaming the Facebook algorithm allows you to accept the possibility that Jana is not purposely ignoring your posts. Even with the (scary) amount of time I spend on Facebook, I miss tons of what my friends share. I think it’s likely that as more time went by without Jana liking or commenting on a post, Facebook stopped showing your posts in her feed. For those not aware of how Facebook’s algorithm works, it shows you what it thinks you want to see based on what you’ve ‘liked’ in the past. That said, the algorithm is ever-changing and secretive so nobody knows for sure. I like the idea of giving Jana the benefit of the doubt considering that your friendship is solid face-to-face. 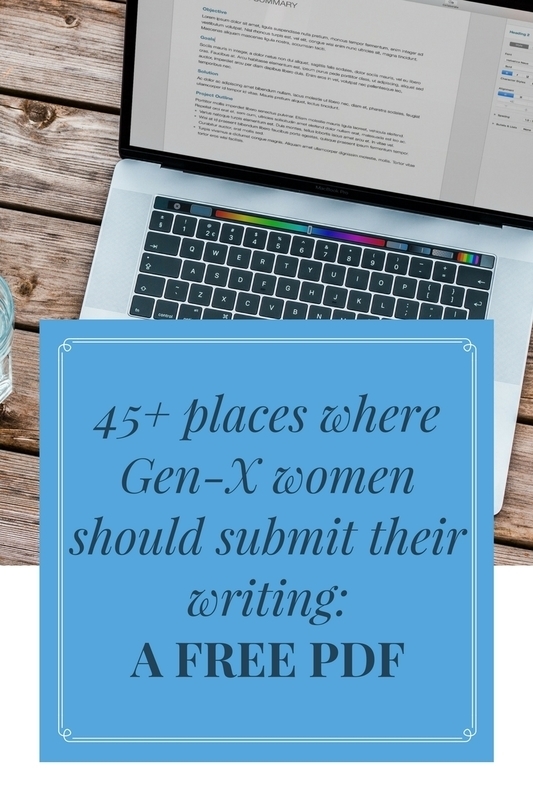 One of my blogging buddies added: “There’s a friend of mine from college who writes genuinely interesting posts, but lately I haven’t seen him at all in my feed. I had to consciously seek him out, and still, he is not regularly in my feed, even though we have numerous mutual friends.” In other words, you cannot assume Jana is purposely ignoring the posts. Related to the algorithm: You can also make a point of visiting Jana’s page more often. One of my non-blogging friends said, “I think the writer of the question should shower Jana with positive comments and likes without expectations of the same. If nothing changes, then she should stop going to the hardware store for raisins.” Meanwhile, I’m now adopting that fantastic expression! I think that’s good advice if option #1 is too hard. However, if you’re going to ask Jana directly why she doesn’t interact with your posts online (whether on the blog or on Facebook), you need to soften that accusation with a hefty amount of self-deprecation about how her friendship in person should be enough, but you can’t help noticing her comments on mutual friends’ posts and worry it’s personal that she doesn’t comment on yours. There’s no way to say something like that without sounding overly needy of her attention. That doesn’t mean you can’t bring up the issue, but be aware of how you word the question. Also note that you may get her to start liking your posts, but you could find yourself wondering if she’s doing so with a level of obligation that will eventually lead to resentment on her part, which brings me to my next point. How Much Interaction is Reasonable to Expect on Facebook? I don’t have a precise answer to this area of etiquette. (Who does?) But I bet that whatever any of us expect from friends on Facebook it is too much. We’ve already covered that many posts on Facebook get missed despite best intentions. But let’s say we do see all of a particular friend’s posts? Are we expected to like every single one? Comment on every third one? Share one post a month from a friend’s business page? There are no rules and assuming our friends even see our posts is a recipe for disappointment. I can think of a few times I have asked friends to share a post, but I specifically asked them to do so. There was no beating around the bush. Those who were comfortable shared, those who weren’t into the topic or even the idea of sharing posts likely did not. No problem on my end. Now let’s factor in the point that Jana is a “real life” friend. Here’s what my non-blogging friend had to say about the situation. TotFF, I think that is a KEY point. And the flip side is true, too. If Jana is behaving like a good friend in all those ways, I think option #1 is the way to go. What happens offline wins every time! My blogging crew and I agreed that you cannot expect non-bloggers to comment on the actual website. Since Jana mentions reading posts, we would all consider that above and beyond any written comment. And now, TotFF, I’m going to tell you the hard truth. You have to force yourself to forget about winning Jana’s thumbs up online. I say this as someone who was, once upon a time, overly fixated on hoping a particular person (or two) would show enthusiasm, or at least positive thoughts, about my career path. You have to ask yourself why Jana’s lack of digital support is bothering you so much. Does her lack of acknowledgement mirror any doubts you have about what you’re posting? Do you feel any competition with some of the other people who write posts that she publicly likes? Oy vey, people. Social media is complicated, isn’t it? TotFF, I know that many others have been where you are. I bet some have also been on the other side purposely withholding likes and comments from others so we know it’s possible Jana is doing the same to you. I vote for option one, but I’d love to hear other points of view, and I’m sure TotFF would, too. 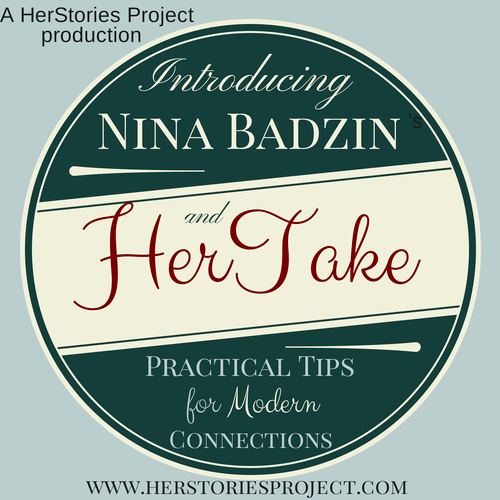 You can follow Nina on her blog, on Facebook, and on Twitter. We’re always looking for new reader questions for Nina! If you have a difficult friendship situation that you’d like advice on, fill out our anonymous contact form. 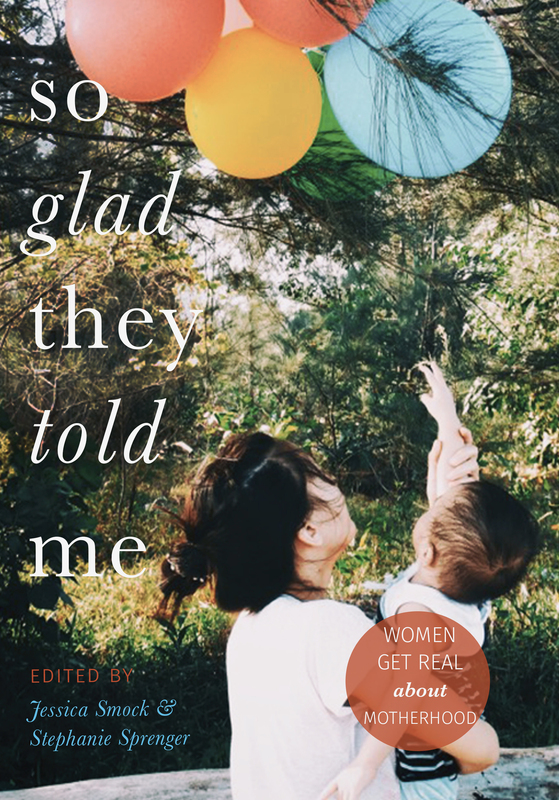 **Have you grabbed your copy of So Glad They Told Me: Women Get Real About Motherhood yet? Release day was August 31st, and it was the #1 new release in motherhood books! So Glad They Told Me is now available on Amazon as a paperback or Kindle copy! This is a modern problem for sure, but a no less important one! I find myself noticing this too (and then asking myself why I care so much). But I completely agree with you and your friends’ advice. As I read the question, I was thinking to myself what one of your friends mentioned — I am much more likely to comment on the post of someone I don’t see or talk to regularly. If my close friend posts an adorable photo of their child, I will usually send a text or tell them next time how adorable the photo of their child was. I just don’t feel the “need” to connect in that space as much. And when all else fails, I do think the algorithm is a very likely culprit! I hope the letter writer feels better about her friendship after all of your response’s great advice and reassurance! This was such a thoughtful comment. Good point about seeing a cute photo and just mentioning in person. Thank you for adding to the conversation! What a great topic. I can’t imagine there’s person out there active on social media who hasn’t felt the sting of being ignored in one arena or another by at least one friend or two – either an in-real-life friend, or a social-media-only friend. As always, I love your advice and I like the attitude of the letter writer. She’s willing to admit Jana is a great friend otherwise and seems open to suggestions, not overly bitter. Her feelings are honest (and probably shared by many). As for me, I try really hard not to look/compare/mull. I count myself lucky on so many fronts, I don’t want to KNOW where I might be lacking. Ignorance is bliss as far as I’m concerned – ha! Great column once again, Nina! So true on the bliss! I think you’ve done an admirable job of tackling this one, Nina! I would probably err towards just asking (kindly and without accusation), but I also think just assuming the best is always a good option. We could all benefit from giving more benefit of the doubt. I also just thought of something: I sometimes love certain friends’ posts but don’t ‘like’ them because, with Facebook’s tendency to show random people every thing you click on, I don’t always want to be publicly associated with the topics. For example, I use Facebook personally, yes, but also as part of my business networking, so I try to avoid sharing or even liking political posts — even if I strongly agree with them! So it really isn’t always personal. That’s a hard but important thing to keep in mind. That is such an important point, Annie, about how FB shows what we liked to others! I wonder about the interactions the question asker has with Jana’s posts, only because I have a friend I have hidden from my news feed because.. (well it’s a long story).. of reasons – and I wonder if she thinks I’m rude because I haven’t interacted with her. Anywho.. I love that you asked friends for advice! Modern problem for sure, but one that makes us all shake our heads! I agree with your non-blogging friend. I don’t comment as much on my friends posts, simply because we’ve already talked about it in person or through text messages. I comment more on the posts of people I don’t see as often. It’s also possible that her friend has liked so many Facebook pages that that’s all she sees in her feed. I know that’s most of what I see now! I completely agree with you Nina – go with option #1 and just let it go. I often scroll through Facebook without commenting or liking anything – it just depends on my mood. It has nothing to do with my feelings towards friends. I’m so glad you wrote about this topic! I think a lot of us do take note of what friends are liking and do end up feeling the sting. I know I have. I removed a good friend from the FB “close friends” list because I could see everything she was liking and she wasn’t liking anything of mine! This was further complicated by it being a long-distance friendship. I was hurt by it and retaliated by not “liking” her posts. I think she took note and gave me the cold shoulder about it, but since then things have improved and it wasn’t the demise of the friendship or anything. But we never talked about it, either. I also have to admit that FB makes me like certain people less even though I tend to like them in person. I’m guessing this isn’t the case for the letter-writer since they seem to be really close friends, but you never know. I tend to like my SIL better in person but can’t stand her FB posts. For letter-writer, it sounds like this friend likes her more than I like my SIL (haha), so that may not be the case. I am definitely guilty of not liking my SIL’s posts in order to be passive-aggressive. Anyway, when I get hung up on this type of thing, it tells me I need to spend less time on that forum. Could this be the case for letter-writer? I love this honesty and especially the last point. Yes! Too much time spent thinking about this stuff definitely calls for a Facebook break. I’m not on Facebook and am really happy without it. That said, I understand blogs and other social media networks can feel this way. I agree with this: “Facebook is a forum to connect with people I wouldn’t normally connect with in person.” I just don’t bother if I see him or her in real life. Especially if we’re close or I see the person often. This makes me happy that I have, so far, avoided being on Facebook. ha ha. The algorithms are kind of crazy … Social media and friendship is a sticky situation and your advice is fabulous! I have a love/hate thing with FB. I’m hating right now. I wish it would go away sometimes or I could quit it entirely. I was thinking it would be such a nicer medium if there was a rule that it was only for people who are out of state, country, 500+ miles away or similar. Good topic, and way to get me to stop sweating the small stuff. Another factor may be people’s different Facebook personalities. Some people post a lot of information about their kids. That makes me tense from a security standpoint, and so I might not click Like because I’m busy thinking about that. (I once unfriended someone because she posted that her child wet the bed.) But other times a photo strikes me as cute and I click Like, even if I’m worried about security. Some people post things that say you should share if you agree, or they post cryptically wanting you to ask more questions. I tend to ignore those posts even if I agree or even if I’m curious because I don’t like that type of posting. Similarly I might not Like a political or religious post in order to keep my private thoughts off of Facebook. Lately, I’m trying not to spend so much time on Facebook in general, so comment or react to 3 or 4 things and then shut it down. There are so many factors that could be involved. I hope this is helpful.